A pack of 50 princess balloons. 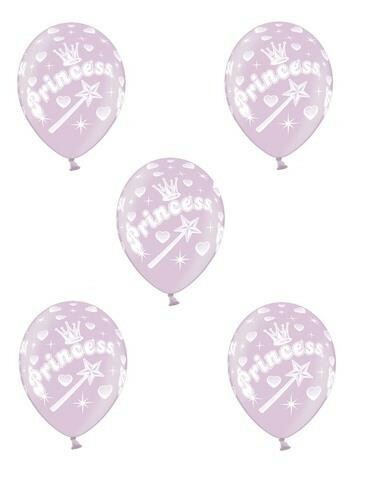 These 12 inch Metallic Pink balloons are printed white ink which say Princess and have a crown and wand on. Perfect for decorating your party room. Made of natural rubber latex and are fully biodegradable.